OnePeterFive is a US 501(c)(3) organization which relies on your tax-deductible contributions. Please help us to meet our expenses by donating today! A Happy and Blessed Easter to You All! Rebuilding Catholic Culture. Restoring Catholic Tradition. Image taken from an online petition to stop the dissolution of the Fraternity of the Holy Apostles. The Pope signs the decree of dissolution of the Fraternity of the Holy Apostles of Brussels, which had been providing a considerable number of priests and seminarians in the ecclesial desert of Belgium. A blow carried out without waiting for the ecclesiastical process to follow its natural course in responding to the recourse presented by parishioners. Remember the case of the Priestly Fraternity of the Holy Apostles of Brussels? In the disastrous panorama of the Belgian Church, and of the European capital that is perhaps the most de-Christianized of all, the then-Archbishop of Malines-Brussels, André Léonard, had created a priestly fraternity in 2013 inspired by the charism of the French priest Michel-Marie Zanotti-Sorkine. It had grown to include 23 seminarians and 6 priests, an extraordinary development in a national Church which last year did not have even one new seminarian in the French-speaking dioceses. The fraternity was given pastoral care of a parish in the center of Brussels, Saint Catherine, and their presence signaled a new flowering of faith and activity. We know how the matter ended. But we are writing about it because in the last few days we have received important information about a decisive event in the sad story of the Fraternity, an event which happened in Rome and which unfortunately carries the signature of the Pope himself. In brief, here is the story. While the matter was being discussed and they were looking for a solution in Brussels, two lay couples undertook a legal recourse and made an appeal – which is normal in these sorts of cases – to the Tribunal of the Apostolic Signatura. These lay people presented an appeal against the decision of De Kesel to the Congregation for the Clergy, which was no longer headed by Cardinal Mauro Piacenza but by Cardinal Beniamino Stella, a former diplomat nominated [as Prefect] by the reigning Pontiff. According to these lay people who wrote to us, in November 2016 the Congregation for the Clergy negated “without giving any reason” the “ius standi”, that is, the right of the appellants to appear before a tribunal to present their case. And at the same time the Congregation confirmed the decree of dissolution of the Fraternity as decided by the Archbishop of Brussels. In a case like this, the last recourse is the Apostolic Signatura, the Supreme Tribunal of the Church, to which any person in the Church, cleric or lay, can make recourse if they wish to defend their rights. The Apostolic Signatura is no longer headed by Cardinal Raymond Leo Burke, a juridical and priestly personality of strong temperament. He was replaced by the ex-Foreign minister of the Pope, also a diplomat, Archbishop (now Cardinal) Dominique Mamberti. In December of 2016 the lay people from Brussels brought their appeal to the Apostolic Signatura. The cause was considered positively by the Promoter of Justice, and the case was to be submitted to the college of judges, in an audience which would have taken place in the fall of 2017. “Thus, we believed that justice and the truth would finally win out,” they wrote to us. And at this point there was a terrible turn of events. On November 25, 2017, a letter from the Signatura informed the interested parties that the case was closed. Without waiting for the ecclesiastical process to follow its natural course and come to a decision (“dum summarium conficiebatur” [while the abstract was being prepared]), the Prefect of the Congregation for the Clergy, Beniamino Stella, brought the appealed decree of the dissolution of the Fraternity to the reigning Pontiff for him to sign, and thus make it his own. The Pope signed it; an act of imperium which certainly appears to be a blow to the rights of the weakest in the Church. A story which certainly does not shine a good light on the modus operandi of the highest levels of the “reformed” Roman Curia, or of the Pope himself. An ugly story. 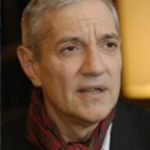 Marco Tosatti is a renowned Italian journalist and Vatican expert. He has been covering the Holy See since 1981. His written work appears in La Stampa and La Nuova Bussola Quotidiana. He is the author of several books, including The Prophecy of Fatima and Investigation of the Holy Shroud. He blogs at Marcotosatti.com. Why Did I Resist the Pope? For My Children. © 2017 OnePeterFive, Inc. All rights reserved.